The cream liqueur category isn’t one where we typically see much excitement. Legacy brands like Bailey’s Irish Cream have a bevy of flavor offerings and stylish new packaging, but tend to get very little fanfare or excitement. 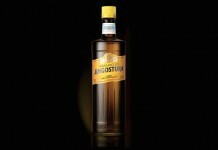 The tough thing about these cream liqueurs is that they are often fairly thick, sweet, and tough to drink neat. Cream liqueurs have been billed as something you can keep on your liqueur shelf and don’t need refrigeration, but are infinitely better chilled. One of the reasons they are so prevalent is that their alcohol levels are often low enough that they can be sold in grocery stores that also sell beer and wine. 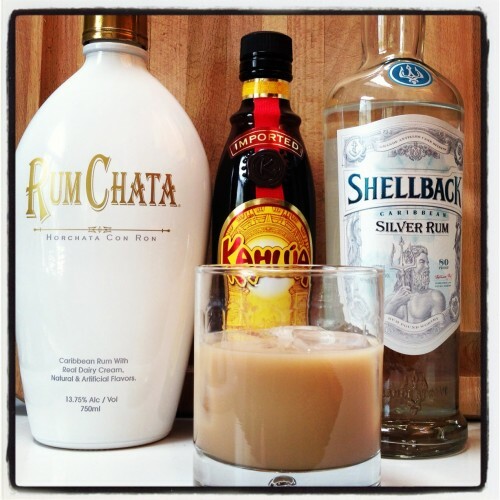 The category got a a major boost a couple of years ago with the introduction of Rum Chata (Horchata Con Ron). Although it is technically a cream liqueur, Rum Chata has a much more contemporary feel to it. The secret to Rum Chata’s success is in its simplicity: Rum Chata tastes like really good horchata, and at 13.75% ABV/ 27.5 proof, the rum doesn’t leap out of the glass, making it a perfect choice for someone who wants something decadent to drink but doesn’t want to get slapped across the face with alcohol. 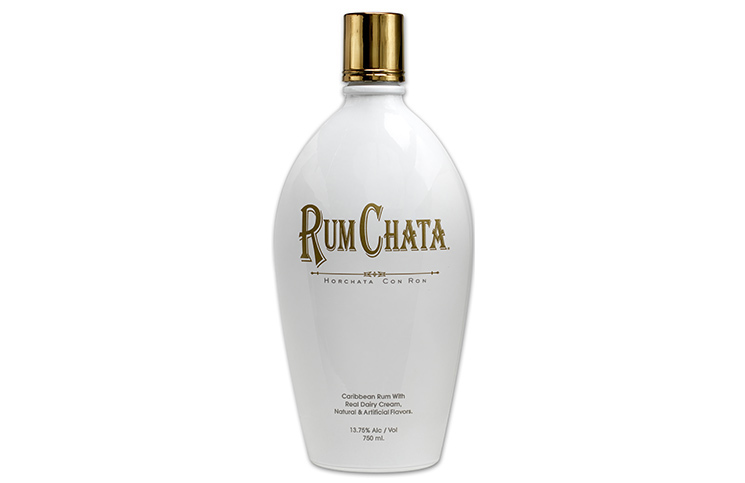 Rum Chata (Horchata Con Ron) (13.75% ABV/ 27.5 proof, $23) smells like good horchata with cinnamon, vanilla, sugar, rice, and cream all right there in the nose. It’s difficult to pick out the rum in the mix, but that seems to be the point. The entry is slightly thick and creamy with solid cinnamon, vanilla, and sweet rice. In the midpalate you get a suggestion of the rum, but it’s like trying to listen to a conversation in the next room through a wall. You can tell people are talking but you can’t quite make out what they are saying. There’s the suggestion of some underlying heat on the finish, but the creamy horchata is so dominant, you’d question if it’s really there. While the mouth feel of Rum Chata is slightly thick, it isn’t as syrupy or cloying as some of the other cream liqueurs, but it is heavier than good, traditionally made horchata. As simply delicious as Rum Chata is, it still needs some sort of mixer or dilution to make it less thick and more drinkable. Our favorite preparation is to combine Rum Chata with Java Juice, an espresso concentrate, in a 2-1 ratio (2 ounces of Rum Chata to 1 ounce of Java Juice) and serve it over ice. Rum Chata, any kind of coffee, and ice are an amazing combination. For Rum Chata, ice is an important part of the equation because it helps it from being too heavy. We also like Rum Chata in a variation on the White Russian (which is traditionally 2 ounces of Vodka, 1 ounce of Kahlua, and ½ ounce of cream, and should be stirred, not shaken), if you substitute the Rum Chata for the cream you effectively get a “Blind Russian,” but we suggest you go one step further and substitute rum for the vodka. Both Kahlua and Rum Chata are rum based and the rum gives the drink more. When you use rum in a White Russian it becomes a White Cuban, but with Rum Chata we’re going to call it a White Mexican. We also suggest changing the ratio slightly. Stir over LOTS of ice and serve. If you want to get fancy, add a cinnamon stick as a garnish. 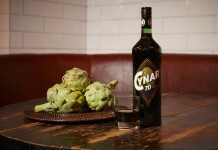 Aside from being delicious, one of the things we love about Rum Chata is that it lends itself to very easy dessert cocktails. With coffee, ice, and a blender, it becomes a FrappaChata; with Tennesee Honey (2 ounces of Tennesee Honey to 1 ounce of Rum Chata), it’s The Honey Badger; shake it with banana liqueur (1 ounce RumChata and 1/4 ounce banana liqueur) and you’ve got Banana Cream Pie (see this list of a ton of easy Rum Chata cocktail recipes). While Rum Chata isn’t skinny by any sense of the word (140 calories and 4 grams of fat per 1 1/2 oz serving), it really doesn’t take much to feel like you’ve had a real dessert. It’s also thick enough that it would be hard to really over imbibe with Rum Chata. When it first came out, we dismissed Rum Chata as another sweet fad that would have its time in the sun and then fade, but after spending some time with it, we’re convinced that Rum Chata is here to stay and will continue to be one of the most popular choices in the cream liqueur space.